You are probably suffering from alopecia areata which is an autoimmune disease. Hair loss in telogen effluvium is all over but especially around the forehead. Fungal infections of the hair and hair loss evinces itself in patches. Hair styling or undue stress on the roots of the hair is a recipe for hair loss. 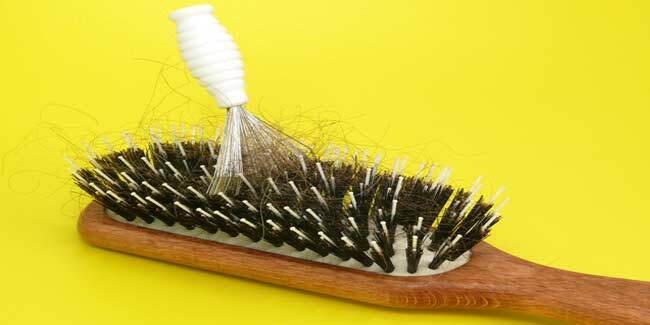 Hair loss in men may occur at any age and due to a variety of factors that range from diet to hormones. One should not be alarmed by seasonal shedding or temporary problems during which one loses hair. For example recovering after a major illness or trauma can lead to hair loss too. Besides, self-diagnosis is never a good idea. Always consult an experienced trichologist if you notice serious hair loss. If you are losing hair in patches then you are probably suffering from Alopecia areata which is an autoimmune disease. Stress is considered to be the chief cause and symptoms differ from person to person. The sign for diagnosis is circular patches in which the patient loses hair. The patient may witness hair regeneration after a few months followed by hair loss again. Male Pattern Baldness: Androgenic alopecia is another major condition found mostly in ageing men. However, young men in their twenties may experience it too. Heredity and hormonal predilection for a receding hairline that may eventually cost you more than half of your head cannot be easily remedied. The progression is normally slow and starts at the sides of the temple leading up to back of your head in a U shape. It may take several years but the amount of hair you will lose may not be ruled out. Contrary to popular belief telogen is the concluding part of the normal hair growth and shedding process. After the growth phase which is called anagen, the stability and eventual fall period sets in. It is perfectly normal for a small portion of your hair to be in the telogen phase however following a major strain like an operation or post-traumatic stress you will experience great hair loss which you may identify as thinning of the hair. Hair loss in telogen effluvium is all over but especially around the forehead. Tinea Capitis is normally the culprit behind fungal infections of the hair and hair loss evinces itself in patches with uneven and broken strands. In some other fungal infections red or flesh coloured rashes or spots may also appear. 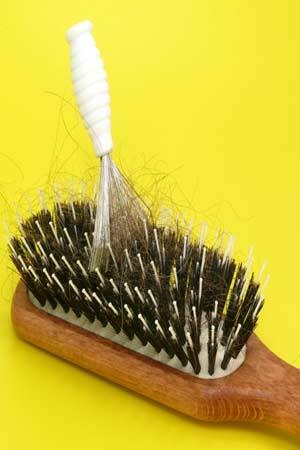 If you experience hair loss with an itchy scalp see the trichologist immediately. Fungal infections can be highly contagious and although mostly children are affected adult men are vulnerable too. Men who wear their hair long and continually pull at them or wear them in tight braids will also suffer from damage and hair fall. The loss will be uneven and patchy. Undue stress on the roots of the hair is a recipe for hair problems but can be solved easily by avoiding harsh treatment.